Twelve page booklet created in InDesign. 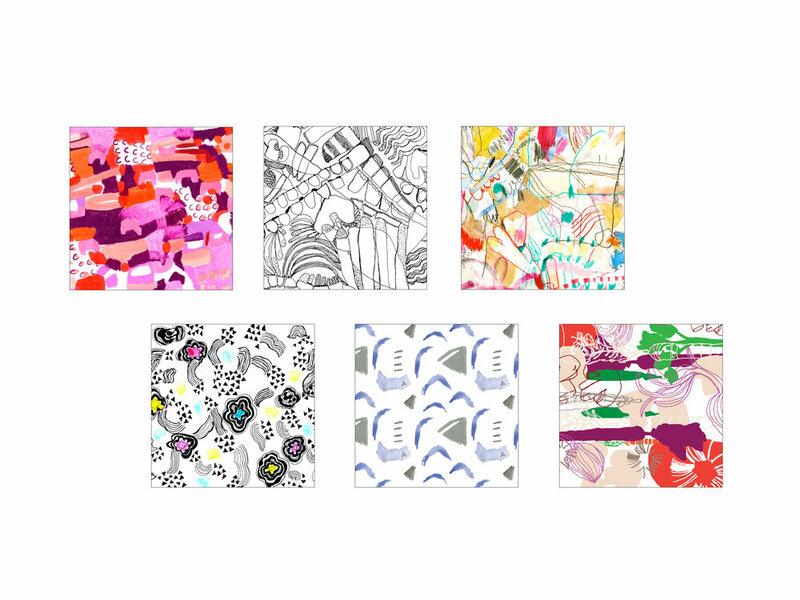 Features original handmade artwork and digitally created surface design applied to textiles and objects. Skills: Pattern design (handmade & in Illustrator), mock-ups using masking in Photoshop, font choice, page layout, and paragraph styles using InDesign.